UPDATE: The Sir Kensington Rebates are all gone now – hope some of you got to take advantage while they lasted. However, all of these items will count towards the required threshold for our in-ad Target coupon for a FREE $10 Gift Card with a $50+ grocery purchase. So you could mix & match your Sir Kensington purchases with other grocery items we have rebates/coupons/cartwheel offers for to make for an awesome deal. Just as an example, you could do this and grab all your items for better-than-FREE!…..
Or… if you are headed to Target today, we also have a fabulous deal on Crunchmaster crackers. The ibotta rebate is set to expire in the wee hours of the morning, so you would need to do this deal today…. 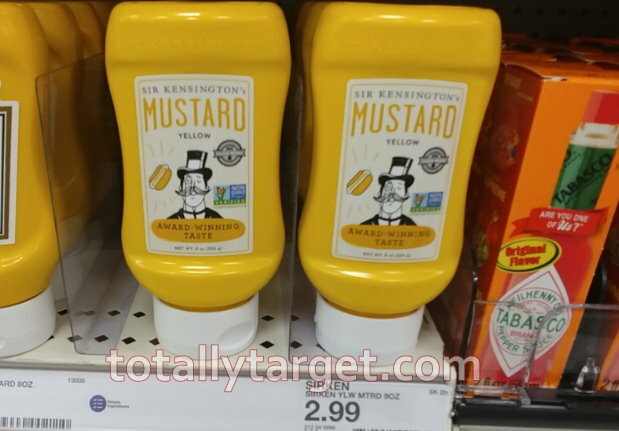 Even if your store doesn’t carry ALL of the Sir Kensington products we have rebates for – keep in mind that most stores should have at least the ketchup and mustard. I actually had the opposite problem though and had everything but the ketchup and mustard. 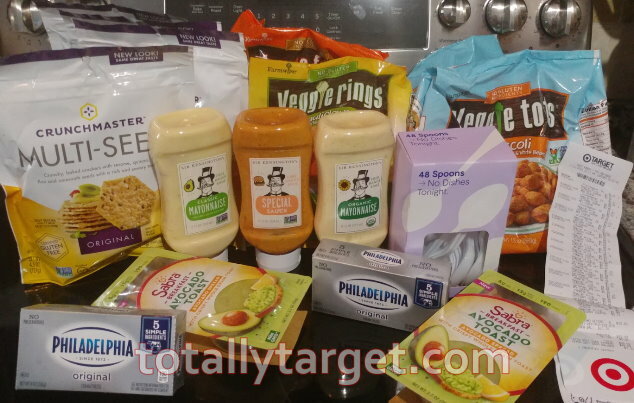 But when I saw these rebates this morning – my hubby agreed to go and while I had to shuffle a bit since my store only had 2 of the Sabra – I needed cream cheese so I ended up doing this and still got a fantastic deal…. = $2.22 for all 16 items or around .14 cents each!! 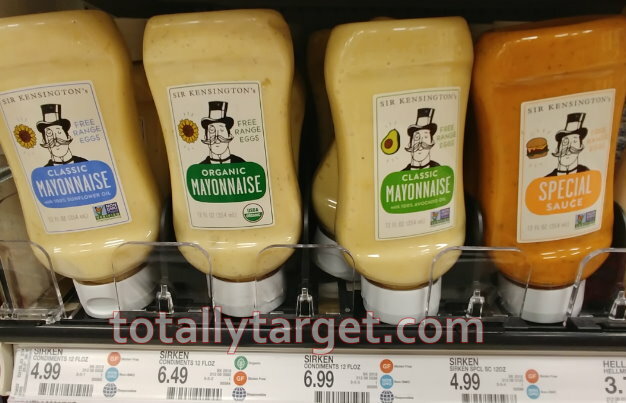 You can mix & match your other groceries how you wish, but the point is any Sir Kensington’s your store does carry will make for great filler items to meet the spending requirement for the Target coupon. 🙂 You can check out my Best Deals of the Week post HERE for more ideas. Have you tried the Sabra Avocado Toast? Sabra makes the most delicious hummus, but that avocado toast is not very good, so just a warning. My family hated it too. I wasn’t expecting guacamole or anything, but I was expecting some taste, LOL! I was happy that I only paid .17 or so, because that would have been a huge waste of money!